Katherine started planning trips for friends and family years before she decided to officially join the travel industry. Her love of travel and adventure eventually brought her to Brownell, a highly regarded Virtuoso affiliated agency, where she launched her career as a Luxury. Dreaming of palm trees swaying on an idyllic tropical beach? Katherine has a true passion for the islands of the Caribbean and other tropical destinations such as Hawaii and the South Pacific. She’s been traveling regularly to the tropics for over 20 years and continues to seek. Katherine firmly believes that children gain tremendous value from travel. She travels regularly with her husband and two children so knows what it takes to plan family vacations of all shapes and sizes. Whether your family includes babies, teenagers or young ones in-between. Need assistance with planning your honeymoon or anniversary trip? Katherine books romantic trips for couples all over the world. Whether you’re envisioning a relaxing tropical escape, an African safari, or a tour of the Greek Isles, Katherine will leverage her industry network. Let me help you plan the trip of a lifetime! 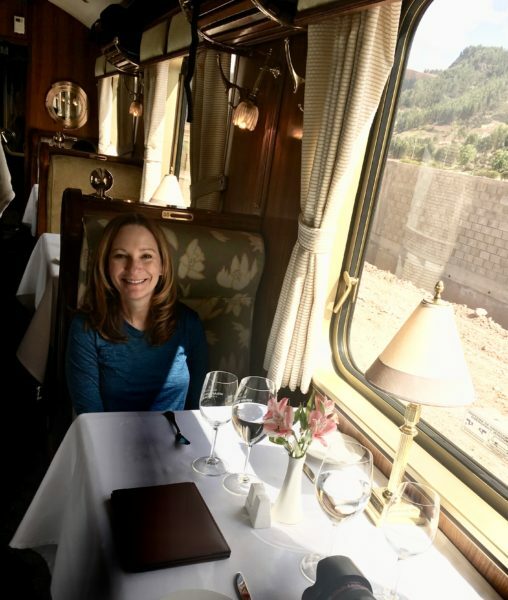 Excited for my ride on the Belmond Hiram Bingham!